The way that Bobby and Mandee’s: To Safe For Strangers developed was a fluke. A reserve deputy and I were requested to teach a latch key class, to 6 children after school. On the way there, we decided to teach “NO, GO TELL”, which was a stranger lesson. The deputy and I were there for 90 mins and we left. Two days later, the latch key teacher called and told me “you are not going to believe what happened last night. Three of the children, one being my son, were playing in the park while the adults were watching a softball game. A man drove up in a van, walked over to the children and said “HEY KIDS, I HAVE PUPPIES IN MY VAN, WOULD YOU LIKE TO SEE THEM? The children ran off to their parents and told them what had just taken place. I believe if it weren’t for the lesson a few days past, that the children would have gone with the man and more than likely it wouldn’t have had a good ending”. I went and spoke to the sheriff, about this incident and he responded “let’s develop a pilot program and perfect the stranger danger program for our county.” This was the start of the TOO SAFE FOR STRANGER PROGRAM. This program became so successful, that I decided to write this book, having the two main characters be my children, Bobby and Mandee. Bob Kahn has a Master’s Degree in Education. He was a sixth grade teacher for ten years. He became concerned with the drug and gang problems that are plaguing our nation. He became a D.A.R.E. instructor. While teaching D.A.R.E., he perfected a program he calls “too smart for strangers.” His program has foiled twenty-two stranger abductions. His first book Too Safe for Strangers is based on this program. His other books on children’s safety reflect his knowledge of working with children and helping them deal with today’s problems. He lives in Nevada with his wife Kandee and two children Bobby and Mandee (of course). 0 people like this post. Bobby and Mandee are back, and this time they are tackling the issue of bullying. Mandee is being bullied by this guy in their neighborhood. Through Bobby helping his sister, your child can learn what bullying is, understand a little about why kids (and adults) bully, and what all can be done about it. Bullying can be a serious problem, as thousands of young people each year take their own life as a result. If your child is facing bullies at their school, on their bus, or anywhere they spend time, you may find this book helpful. At the end of the book you can find checklists, a coloring page, a safety test, and 911 tips for parents. 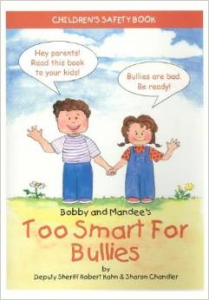 So check out Too Smart for Bullies, or buy it for a gift for the parents of small children in your life. Robert Kahn has a Master’s Degree in Education. It was during Kahn’s tenure as a sixth grade teacher that he became concerned about the safety issues that involve children and decided to become a Deputy Sheriff to help educate and protect our youth from harm. He started a Stranger Danger program in local schools and community service organizations. Local law enforcement credits this program in foiling over 40 attempted abductions by strangers. To-date, Robert has given over 20,000 presentations covering 15 different topics on children’s safety issues. Kahn’s mission is to keep all kids safe, but he can’t be everywhere at the same time. So, with the insight and knowledge gained from his experiences, Kahn began to write a series of children’s safety books. His first book, Bobby and Mandee’s Too Safe for Strangers, is based on his program. His other safety books help children learn how to deal with today’s problems. All of his books are told in the voice of his own children, Bobby and Mandee! Kahn’s daughter Mandee is the main character although Bobby plays a very important role in the books. As a high-functioning autistic, “If he can understand the books, anybody can!” Kahn stresses the books simplicity so that anyone can benefit from them. Using simple language, the books introduce the concepts and then provide tips on how to deal with them. The main age when something happens to a child is second grade through young adult. As kids start doing more things alone, it is imperative that they know how to help themselves to stay safe. The goal of the Bobby and Mandee Safety Series is to provide parents, educators and other trusted adults with essential information to share with our precious children to keep them safe in today’s world. *Disclaimer* A special thanks goes out to Rebecca at Cadence Marketing for a review copy of this book. It in no way influenced my review. You can discuss it here or join my facebook page and discuss it there. This is a children’s book, so any review for it will have to be pretty brief. It features the characters of Bobby and Mandee. They help the parent through the story tell their child about strangers. What a stranger is? The difference in good and bad strangers, and what to do and not do with strangers. While I don’t have kids, I felt this book could be very help. The author, Deputy Sherriff Robert Kahn manages to deliver all the information, and along with the illustrations by Sue Lynn Cotton, provides a story that I think could be very helpful. At the end of the book you can find checklists, a coloring page, a safety test, and 911 tips for parents. So check out Too Safe for Strangers, or buy it for a gift for the parents of small children in your life. Books such as this are difficult for me to review. Like most of us, I’ve lost people I love to cancer. So going into this, it was a hard book for me to read. But I’m glad I did, for the information within it, could be very beneficial to those going through cancer, or who have loved ones battling cancer. The book covers many different aspects of the cancer journey. 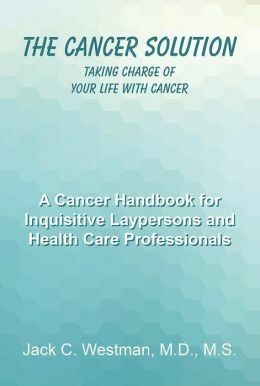 The first chapter covers all the conventional cancer treatments. There is a chapter covering the health care system, an area that can be a huge problem for cancer patients, particularly those who may not have adequate health insurance. It then covers a look into cancer, what it is, how it occurs, and the research methods going on. Following that are a few chapters on immunotherapy and nutritional therapy. The author then wraps up the novel with chapters on where things currently stand, and what the future holds. I think this could be a valuable guide and help to those dealing with his dreadful disease. For that I recommend it, but with the hope that you never have need of it. Dr. Westman holds an M.D. and an M.S. from the University of Michigan. 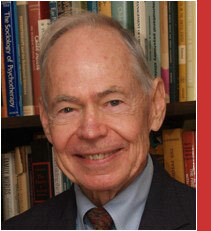 He is Professor Emeritus of Psychiatry at the University of Wisconsin School of Medicine and Public Health. He has published extensively on individual differences in children, learning disabilities, child abuse and neglect, child advocacy, family therapy, children’s and parents’ rights and public policy. He has been Editor of Child Psychiatry and Human Development, President of the American Association of Psychiatric Services and President of the Multidisciplinary Academy of Clinical Education. He currently is President of Wisconsin Cares, Inc.
*Disclaimer* A special thanks goes out to Rebecca Brown at for a review copy of this book. It in no way influenced my review. You can discuss it here or join my facebook page and discuss it there. This will be a different type of review, as it doesn’t pertain to a book, but to a magazine about books. 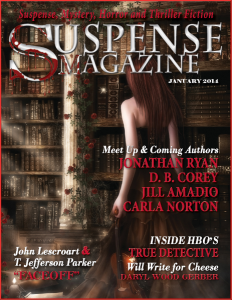 The magazine is called Suspense Magazine, and for fans, such as myself, of the Thriller/Mystery type novel, this is a great magazine. In just 90 pages, it packs a ton of stuff to read. Among the offerings are Short Stories, Articles on the Writing Process, Interviews, Book Reviews, Movie Reviews, book excerpts, and many other articles. Two of the hightlights for me were A very interesting Article about the differnt conspiracy theories concerning the murder of Abraham Lincoln. Another interesting article in the issue I reviewed, was a section related to the book Face Off, in which John Lescroart and T. Jefferson Parker discuss the use of prologues in fiction. 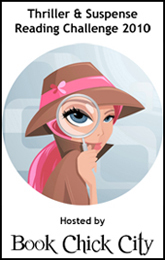 There is even an area where potential suspense authors can submit their work. In that way, it reminds me a lot of favorites from many years ago such as Alfred Hitchcock Magazine and Ellery Queen Mystery Magazine. 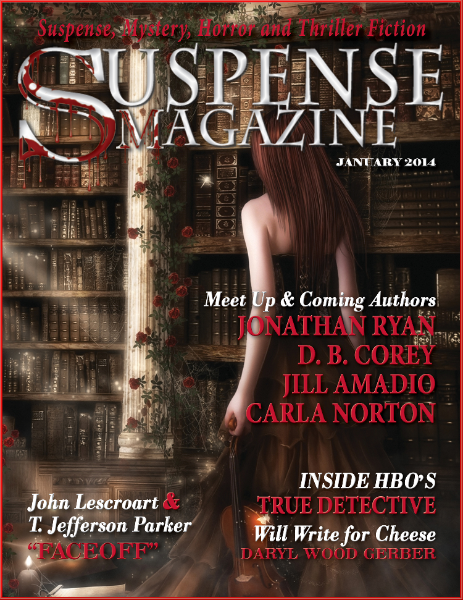 If you are a writer of suspense, love the writing process, or just love novels of suspense, you should check out Suspense Magazine at bookstores or online. Be sure to drop back by and let us know what you thought. *Disclaimer* A special thanks goes out to Gina at Partners in Crime for a review copy of this book. It in no way influenced my review. You can discuss it here or join my facebook page and discuss it there. There’s no doubt about it, we love our pets. But they like all of us, tend to break down with age. When this occurs, sometimes you need to get the help of a rehab specialist. And yes, there are people that specialize in rehabilative medicine for pets, mostly dogs and horses it seems, but I’m sure all pets are covered. And when you need to find and hire one of these specialists, what do you look for? How do you determine you are getting someone qualified? And what if you want to be one of these specialists, what all is involved in the job. Luckily, the answer to many of those questions is covered in this book. Everything from what to expect during the first visit, choosing a therapist, to treatment, exercises, orthopedic solutions, neurological issues, and other medical conditions. For such a small book, it’s packed with information and a section of resources. So for those who love their animals, or those who love others animals and wish to take care of them, pick up a copy of this book. I think you’d find it very helpful. And for those who might be concerned that animals wouldn’t like this, the author tells a story about a dog that was treated. After the author had treated and released the dog, she’d often see it. She watched it secretly, and it would run and play with no problems, but then when it would see her, it would begin limping. So go out and check out a copy of this book, and drop back by and let us know your thoughts. Susan E. Davis is a New Jersey Licensed Physical Therapist with over 35 years’ clinical experience, who transitioned from human practice to working with animals. She owns and operates Joycare Onsite, LLC, formed in 2008, providing Physical Therapy and Rehabilitation services exclusively to multiple animal species: in the pet’s home, farm, in clinics, animal shelters, and a zoo. She provided her services pro-Bono once per week for over 5 years to the Associated Humane Societies, in Forked River, NJ. She currently provides pro-Bono PT care to the animals at Monmouth County SPCA in Eatontown, NJ. 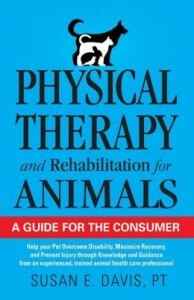 Susan is a member of the International Association for Veterinary Rehabilitation and Physical Therapy and the Northern Monmouth Chamber of Commerce. She is a past member of the American Physical Therapy Association and its Animal Rehabilitation Special Interest Group and the New Jersey Association of Women Business Owners. 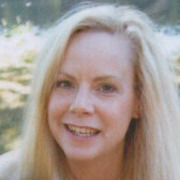 In addition to clinical practice, Susan is a writer and author, public speaker and consultant. Psychologically speaking, a Sociopath is someone without a conscience. We all know people like that. 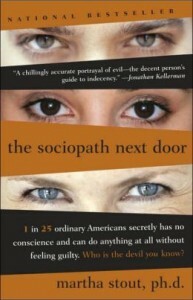 In The Sociopath Next Door, by Dr. Martha Stout, she examines the sociopathic mind. There are 7 characteristics of a sociopath. (7) lack of remorse after having hurt, mistreated, or stolen from another person. Any 3 of these can give a psychiatrist the means to suspect this disorder. We see it in our leaders, our family members, our co-workers. I found this book to be very informative, probably one of the most informative books I’ve read. I think it would be not only helpful for those in the medical field, but just for the average person in being able to understand others, and what makes them tick. I also think it’s a valuable guide for writers in understanding the human psyche. It’s filled with multiple scenarios of different forms of sociopathic behavior, and in reading it I’m sure you’d recognize people you know, I know I did. For it’s informative nature, it’s interesting subject matter, and being written in such a manner that it does not come across as textbook dry, I highly recommend this book to all my readers. Check it out and drop back by to let us know what you thought. Martha Stout, Ph.D., was trained at the famous McLean Psychiatric Hospital and is a practicing psychologist and a clinical instructor in the Department of Psychiatry at Harvard Medical School. She is the author of The Myth of Sanity: Divided Consciousness and the Promise of Awareness and has been featured on Fox News, National Public Radio, KABC, and many other broadcasts. She lives on Cape Ann, Massachusetts. You can discuss it here or join my facebook page and discuss it there. It turns out that readers won’t have to wait long to find the answer. 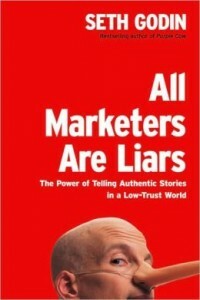 In this book, Godin tackles the whole concept of marketing in fewer than 200 pages. He begins by redefining the concept of marketing in the first place. Marketing, Godin says, is not something that only businesses do to get customers, followers, or media attention. It is something we all do and we need to be good at it. Whether it’s for a job, to win an argument, get donations, or just an extra piece of cake, we all use information that we need to convey and persuade to others to get what we want. That insight was not new to me and to fellow fans of marketing books. What is different is Godin’s next argument. To get what we want, Godin says, we have to sell people a story, not the product itself. In saying this, Godin doesn’t intend for marketers (which now happens to be all of us) to remove all references to the products we are promoting. Instead, he is saying that the story (which he cleverly calls a “lie”) is more important than the product itself from a consumer viewpoint. In other words, you don’t need those fancy sneakers that have night vision and rocket boosters. You just need a shoe. Marketers should tell you a good enough story that you want that particular shoe and tell others to buy that shoe as well. That is the way Godin sees that businesses will survive in the future. The rest of the book explains how and why Godin might be right. OK, a potential reader might say, I can understand Godin’s argument, but why read the book? That starts when you get to Godin’s answer to creating the story that will lead to marketers getting results. Godin doesn’t just suggest that you lie. He suggests that you create an “authentic” lie. It sounds paradoxical, I know, but Godin suggests that your potential audience doesn’t just want to hear any story. They want to hear a story that is true for what they need or want. This is where the book is the most interesting and the most insightful. Godin convincingly argues that we are not in the same old age of marketing that we were once in (a common theme of this book), but in a new era. That new era requires new rules and new action. The first step is a new mind-set with this book. Besides the obvious insights I mentioned above, why would a potential reader be interested? Well, if you are a Seth Godin fan that is reason enough. The book is typical Seth Godin, featuring the same insight found in Seth Godin’s other books Linchpin, Purple Cow and Free Prize Inside: The Next Big Marketing Idea. If you are not a fan, then this book still has merit as an idea-shifter. If you a person looking to revitalize your approach to marketing, this book is a great idea-starter. You won’t find all of the ideas and materials you need, but you will gain a new mind-set. As a precaution, you may want to check out Seth Godin’s blog first to get acquainted with how Seth Godin writes. Angie Picardo is a writer for NerdWallet, a financial literacy website where you can find advice on understanding personal finance. You can discuss this here or join my facebook page and discuss it there. Have you ever wanted to write a book, but wasn’t sure how to publish it. Self-Publishing is a big trend now in book publishing, and this small guide shows you how to do it, and avoid some of the pitfalls at the same time. I found this book to be very interesting and easy to read. I learned a lot about the various jobs that occur in the publishing process, such as the difference between an edit and a substantial edit, or a proofreader vs. a copywriter. 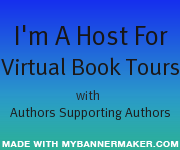 The book was very informative in these areas, and if you are an author or dream of being an author, I’d suggest it as a good place to get started. There were some slight drawbacks. The book is published by a company that works with you to self-publish, so of course they are going to mention throughout the book that they offer these very services. So while the information is valuable, I think the reader has to take it with a grain of salt and still do their own investigations and decide what works well for them. I would say that it’s suitable for any age. On 9/11 we know about all the loss of innocent lives. But what we may not know about were the struggles that the wall street and financial community went through to keep from going into economic collapse. This book details that struggle. There was a lot of interesting stories in this book from people who were involved in the financial industry during the weeks following 9/11. One thing that really surprised me was how inadequatelly prepared these companies were, and many still are. There was no plans in place for backup systems, no recovery process, and just a poor job of data management. This was so poorly done, that according to the book, years worth of information on SEC investigations was destroyed with no way to recover. The author takes us through from the actually occurrence of 9/11 up through some of the major banking and finance corporations as they struggle to get back up and running. The reader is allowed to see some of the behind the scenes stuff that we never was witness to, and learn how close we really came to a complete shutdown of our economic system. The book is well written, very well research, and for history fans, or those interested in finance or the overall impact of 9/11 on America, I’d suggest this book. Due to content and language, I would gear it towards adults. It’s definitely a good guide for data communications people to see how things shouldn’t be done. 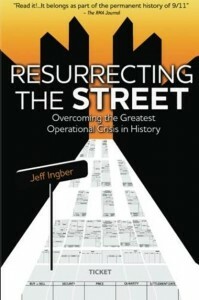 Jeff Ingber is a native New Yorker and a graduate of Queens College and NYU Law School. He has worked in the financial industry for over three decades, including positions with the Federal Reserve Bank of New York and The Depository Trust & Clearing Corporation. Jeff currently is a Managing Director with Citigroup. *Disclaimer* A special thanks goes out to at Rebecca – The Cadence Group for a review copy of this book. It in no way influenced my review. You can discuss it here or join my facebook page and discuss it there.